Manchester United could be handed a major boost in the coming days after Barcelona revealed that their star striker Luis Suarez sprained his ankle in the 4-1 win over Real Betis on Sunday evening. The Uruguayan forward scored a superb solo effort at the Benito Villamarin Stadium as he took on the whole defence to put the Catalan giants 3-1 up in the second half. 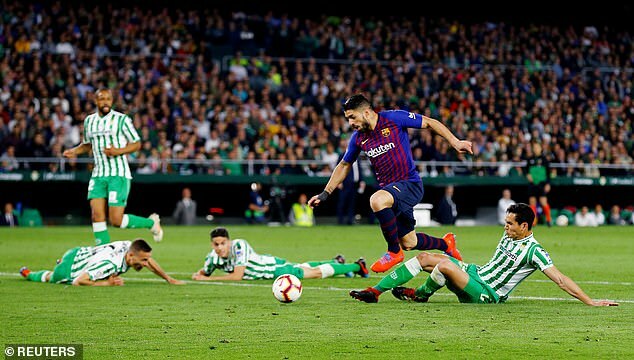 Lionel Messi scored the other three goals in the fantastic win which was marred by Suarez being substituted in the 90th minute due to the injury. Barcelona confirmed on Twitter that Suarez will undergo tests on Monday to reveal the true extent of the damage caused to his right ankle. While fans await confirmation, it is unlikely that the 32-year-old will not join up with his Uruguay team-mates for international duty. Barcelona travel to Old Trafford for the first leg with United on April 10 before they face each other again six days later at the Nou Camp. 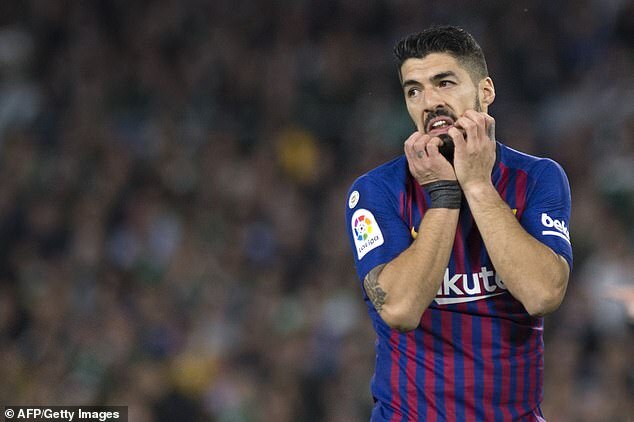 Monday’s tests will shed light on whether Suarez will be able to recover in time for the Champions League quarter-final clash with Ernesto Valverde now facing an anxious wait on the results. 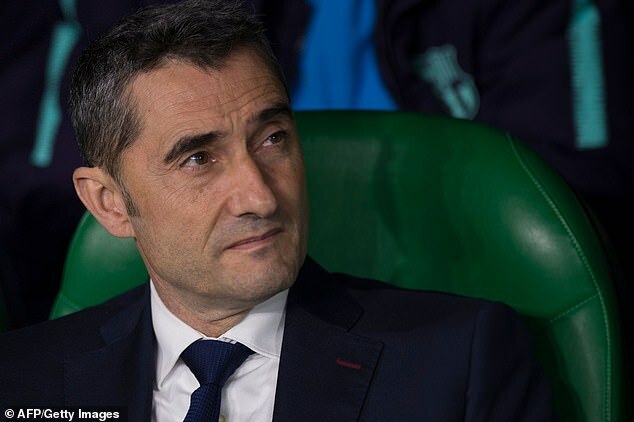 The Barcelona manager will be without Ousmane Dembele for both legs after he suffered a hamstring tear in the 5-1 win over Lyon earlier this week. The club’s next La Liga game will be the Catalan derby against Espanyol before they face Atletico Madrid at home a week later. Barcelona are currently 10 points above Atletico and are edging closer to securing yet another La Liga title.